Coach Bennion stands with the team after a recent race. Track and field is around the corner, and that means that the long distance team for Clark is already training for the season. This will be Charles Bennion’s sophomore season as the head coach of the long distance and cross country teams. Since it is the offseason, Bennion is getting his runners ready with training in the coldest months Vegas has to offer. Many of Clark’s top runners are returning this year, including speedy senior Liam Jones. However, Coach Bennion is still working to build depth in his team. 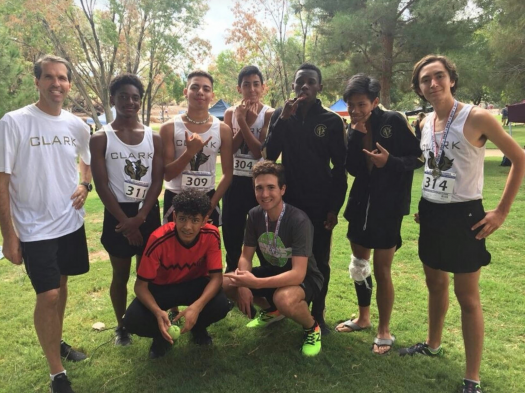 Though his runners share the same team, Coach Bennion curates an environment of healthy internal competition and motivation.